Location: all apartments are located near the Jandri Express 50 – 250 mt, in different residences. They are equipped of kitchen area with oven, fridge, TV, toilet, and something with dish washer and balcony. After submitting this form, our Booking center will send you a formal offer with availability information and prices. 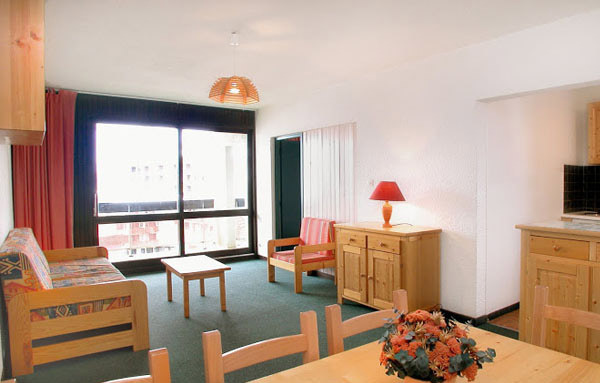 Studio 3: 18 mq, fully equipped kitchen area, a living room with sofa bed for 2 people, alcove/hall with a single bed, television, bathroom with separate toilet, without balcony. Studio 4: 27-32 mq, a living room with sofa bed for 2 people, alcove /hall with bunk beds (for 2 people), fully equipped kitchen area, television, bathroom with separate toilet, balcony. Studio 5: 32-35 mq, a living room with sofa bed for 2 people, alcove /hall with bunk beds (for 2 people), fully equipped kitchen area, television, bathroom with separate toilet, balcony, 5th bed supplementary on entry. 2 Bedrooms apartment 6 : 35-40 mq, big apartment with two rooms and a bedroom, alcove /hall with bunk beds (for 2 people), living room with sofa bed for 2 people, a room with two single beds, fully equipped kitchen area, television, bathroom with separate toilet, balcony. 3 Bedrooms apartment 8: 45-50 mq, big apartment with alcove/hall with bunk beds (for 2 people), living room with sofa bed for 2 people, two rooms with two single beds each, living room, fully equipped kitchen area, television, bathroom with separate toilet, balcony. 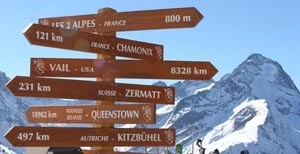 START/END STAY: Saturday 17h00 – Saturday 10h00. Rate includes: 7 nights rental; Bed sheets and Pillow, electricity, water, resort ski bus. Not included: tourist tax € 0,70 per day – per person, 0-18 years old, free. Bath linen € 6,00 per person, per week. It is not possible to rent kitchen linen. 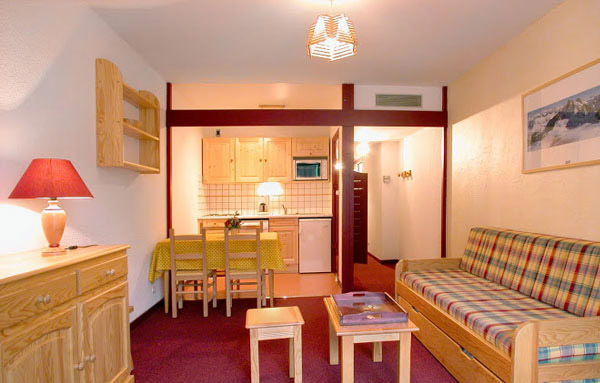 Final clean: Studio3 and studio 4 € 40,00, Studio 5 € 50,00; 2rooms apartment6 € 60,00 and 3rooms apartment8 € 80,00. Pets only on request (supplement of € 25,00 per week), Baby cut € 20,00 per week, only on request. Deposit paid on arrival € 400,00 , Studio3, Studio4, 2rooms apartment6; 3rooms apartment 8. It is possible to pay it by cash or by credit card. APPARTHOTEL OPTION: It is possible to ask half board or full board at our hotels: from the dinner of the arrival day to the dinner before the departing day. 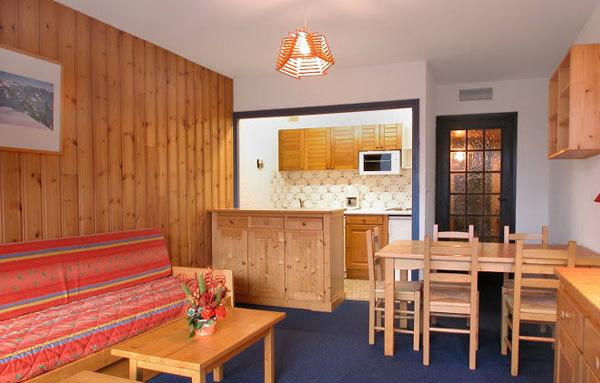 Half board € 210.00, per person per week. Price per meal € 25.00. Breakfast on request: € 8,00 per person. 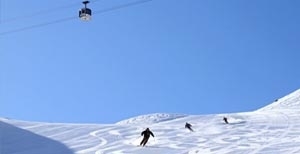 Rate includes: 7 nights rental; bed linen, electricity, water, bed sheets and pillow, resort ski bus. 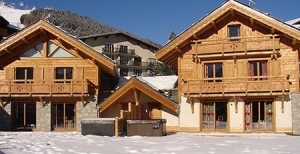 The hotel manages also the luxury chalet Faverot that can give hospitality up to 14 people. 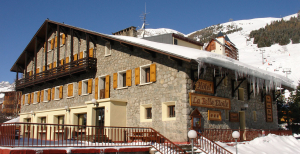 It is located in the very centre of Les Deux Alpes, in a quiet corner, near bars, shops, restaurants and teleferics and it is very close to the hotel. Thanks to the interior design that perfectly combines the intimacy of the bedrooms with the spacious and comfortable setting of the dining and lounge area, the chalet is perfect solution for family and friends’ holidays.